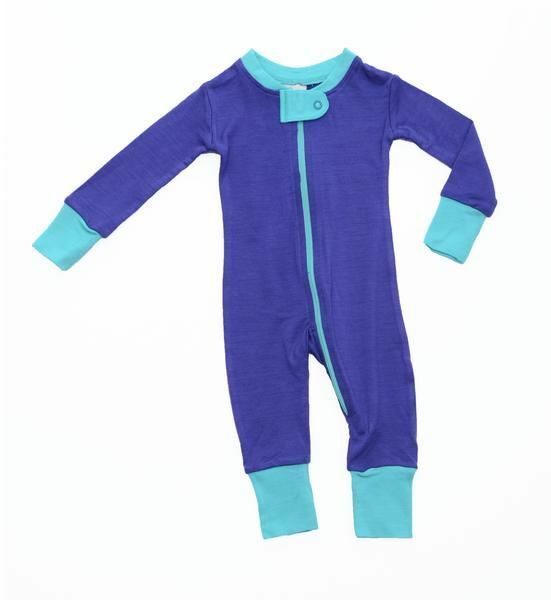 Wee Woolies Merino Zip Sleeper Twilight/Lagoon - Grow Children's Boutique Ltd.
A carefully crafted combination of comfort and style, this little number makes dressing baby a breeze and lets you rest easy knowing your little one will stay comfy and cozy all night or day! With fold over cuffs for room to grow and a smooth zipper for easy on and offs, it's sure to be your favourite for every occasion. Ultra fine merino fibres have the amazing ability to regulate body temperature and help control moisture, so baby stays dry and comfortable all the time. Absolutely no chemical flame retardants. Non toxic Bluesign® approved dyes.